Welcome to a New Era in Custom Nutrition! is now powered by Truenutrition! Not only does TrueNutrition.com now offer the quality, taste, and selection you came to expect from MyOatmeal.com, but we offer a huge selection of other nutrition products as well. Like creating your own customized nutrition products? In addition to a wide range of supplements and bulk food powders, we give our customers the oppurtunity to design their own Custom Protein Blends as well. Give us a spin, you'll be impressed! Give my MyOatmeal™ Blend a non-identifying number. Name MyOatmeal™ Blend according to my billing name. No ingredients selected yet. Begin your mix by selecting ingredients and amounts below. You must select an oatmeal type before the price can be calculated. Select Toppings for your MyOatmeal™ Blend Below. 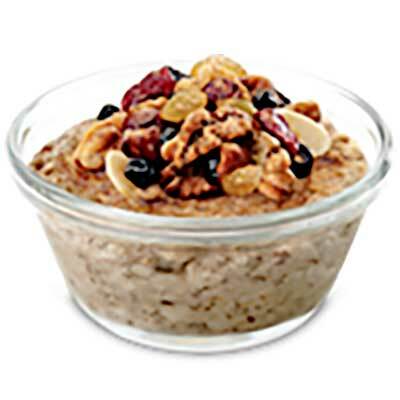 This 'oatmeal generator' is a tool that allows our customers to design their very own oatmeal blends online by choosing from our wide selection of oats, fruits, nuts, seeds, flavors & sweeteners. Your mix is at 100% and no more ingredients can be added.